Celebrating Military Spouse Day: Spotlight on Casi S.
For a company that prides itself on customer service, exemplary tales of doing the right thing don’t often go unnoticed. In Jacksonville, Florida, a deserving employee earned an Emerald Club Greeter recognition for his outstanding customer service. This particular Emerald Club member was so thankful for Charles’ assistance that she sent National an email of appreciation. A few weeks later, Charles’ managers decided to nominate him for an award through the North Florida Hotel and Lodging Association. The hospitality group hosts an annual Recognition of Service Excellence (Rose) Awards ceremony to reward front line customer service superstars from businesses in Northeast Florida. Charles’ kind gestures impressed many, and he was a recipient of a 2017 Rose Award in the Ground Transportation category. “I couldn’t believe it when I walked into the awards ceremony – there were about 500 people there,” Charles says of the event he attended. “The recognition was incredible,” says the former truck driver who initially took on two part-time jobs — one as a Driver before becoming a Greeter — so he could spend more time at home with his son. 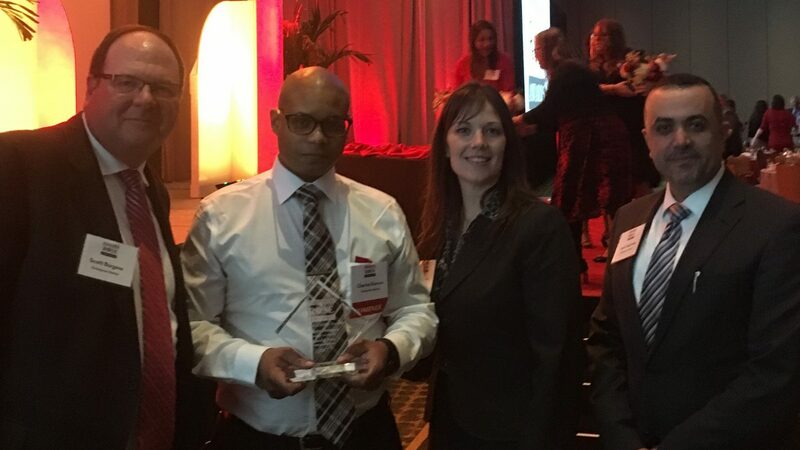 No matter what his role, Charles’ willingness to help others often catches the attention of his managers, including Branch Manager Quincy J., who was Charles’ first manager. “Quincy saw me helping a customer in the lot one day, and he liked that I was willing to help out even though it wasn’t in my job description,” explains Charles. “Then, he asked me how I felt about moving up in rental and offered me an interview to become a Greeter. He gave me a chance, and I have him and my entire management team to thank for that. The rest just comes with common sense,” he adds.